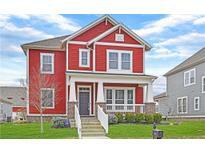 Below you can view all the homes for sale in the Saxony subdivision located in Fishers Indiana. 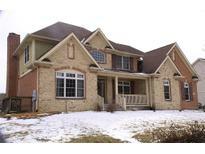 Listings in Saxony are updated daily from data we receive from the Indianapolis multiple listing service. To learn more about any of these homes or to receive custom notifications when a new property is listed for sale in Saxony, give us a call at 317-427-7201. This opportunity is not to be missed. See this one today! MLS#21629833. F.C. Tucker Company. Enjoy all Saxony has to offer: neighborhood lake and beach, pools, playgrounds, numerous shops and restaurants. Move-in ready. MLS#21626155. Highgarden Real Estate. This home is a must see! MLS#21625751. CENTURY 21 Scheetz. Nice and private back yard patio. Don't miss out! MLS#21623355. Keller Williams Indy Metro NE. New sump pump. New ceiling fans. MLS#21623384. Keller Williams Indpls Metro N.
Relax in your spa like bath w/heated tile floor; 4 other bedrooms upstairs & secret loft you can escape to by ladder; Fantastic basement w/bedroom, full bath & 2nd kitchen - plenty of space to play/entertain; Lots of private outdoor space! MLS#21619890. Keller Williams Indy Metro NE. Check out the Villas at Saxony today and see why we are the largest privately-held home builder in America! MLS#21619079. Weekley Homes Realty Company. Plus you're just steps away from our center Courtyard offering an outdoor Fireplace here in Saxony of Fishers! MLS#21619142. Weekley Homes Realty Company. The master suite with a walk in closet, dual vanities, shower and tub! Perfect for all...Welcome Home! MLS#21615703. ERA Real Estate Links. Excellent schools & location! Too many updates to list. MLS#21609570. CENTURY 21 Scheetz. Luxurious stainless steel, gas appliances featured in your main level gourmet kitchen, spacious bedrooms on the 2nd level, a Super Shower in the Owner’s Bath, and a Spacious 3rd floor Game Room and 4th bedroom. MLS#21608456. Weekley Homes Realty Company. This home offers wonderful natural light and low maintenance living. MLS#21584284. Weekley Homes Realty Company. Check out the Villas at Saxony today and see why we are the largest privately-held home builder in America! MLS#21584273. Weekley Homes Realty Company. Easy access to all amenities, Greenspace, Pool, Lake Saxony, Farmers Market, Retail and restaurants, HTC, plus I-69 Access. MLS#21520812. Engel & Volkers.